Plan a romantic weekend getaway or a family vacation to one of these relaxing hotels, inns and B&Bs. Some are surrounded by scenic country views while others are close to famous museums, restaurants and attractions in Omaha, Lincoln and other destinations. Whether you are looking for a modern guest room, glamping or a home-away-from-home experience at a cozy inn, you will find ideas for nearly every taste and budget. Here are the best Nebraska vacation ideas. 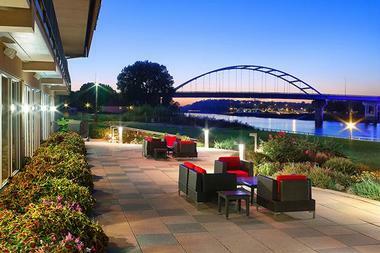 Marina Inn Hotel in South Sioux City has a tranquil setting and magnificent views of the Missouri River. The hotel has one hundred and eighty one guest rooms that have large windows to provide guests with views of the river and Scenic Park. The elegant furnishings offer comfort as well as luxury so guests can feel at home. There is an indoor pool with a whirlpool along with a Fitness Center. There are also public areas for relaxing and mingling with other guests. Kahill’s Steak, Fish, and Chophouse serves breakfast, lunch, and dinner with separate menus for each meal. There is a bar menu at the restaurant and a room service option for those who wish to eat in the comfort of their rooms. 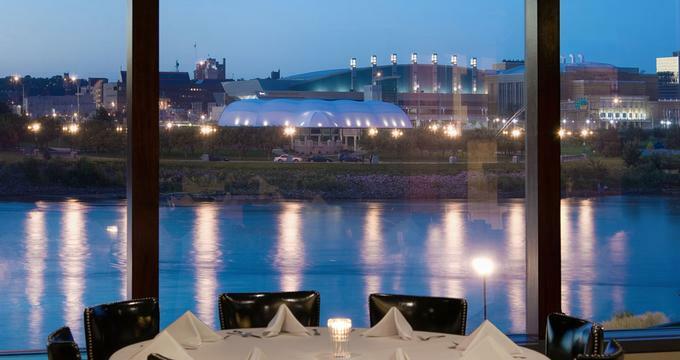 For more entertainment, head into town to enjoy shopping, restaurant choices, and the Hard Rock Casino in Sioux City. Rooms start at $110 per night (Phone: +1 402-494-4000). 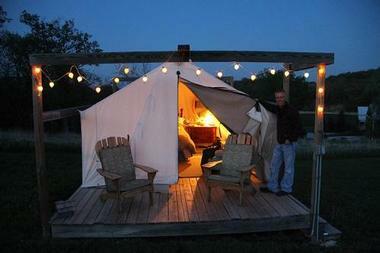 For couples who enjoy vineyards, Slattery Vintage Estates in Rural Cass County offers a romantic glamping experience. A cozy 12 x 14 foot tent resting on a 12 x 18 foot deck offers a full or queen bed, a dresser, rug, small table and chairs, and a fan or heater. The furnished tents also have toilet facilities, a clock radio, coffee service, and a deck of cards. The Cornerstone Mansion in Omaha sprawls out over 10,200 square feet and serves as a bed and breakfast with a vintage atmosphere. There are a total of seven guest rooms, each with a private bath, complimentary Wi-Fi, telephones, and televisions. All of the rooms possess different décor and some offer fireplaces, sunporches, over-sized bathtubs, and desks. Guests can relax in the library before the fireplace, enjoy the Grand Piano, and lounge in the window seat. They may also visit the parlor, or simply sit back and watch TV. Visitors are also encouraged to enjoy the spacious sunporch or one of the gazebos in the garden. Breakfast is served in the formal dining room with a continental breakfast during the weekdays and a full cooked breakfast on the weekends. The continental breakfast includes fruit, coffee, juice, cereals, and fresh baked muffins. 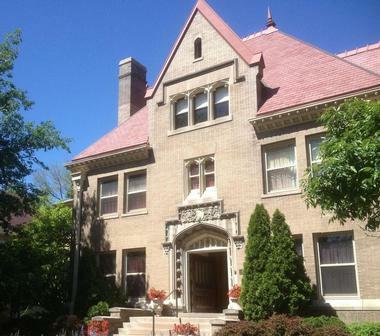 The bed and breakfast is located near the Joslyn Castle, Riverboat Casinos, the Omaha Community Playhouse, Omaha’s Children’s Museum, and many other downtown attractions. Rooms start at $85 (+1 402-558-7600). 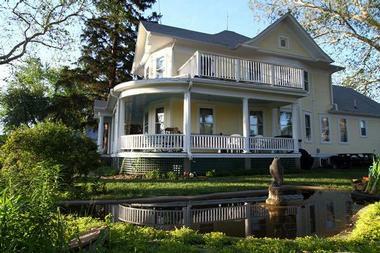 The Oft’s Bed and Breakfast in Bennington offers couples a relaxing getaway. 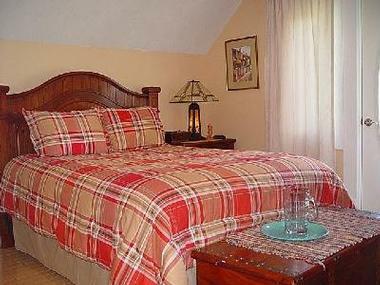 There are two guest rooms at the bed and breakfast, with private baths and a sharedbalcony. A common room provides guests with cable TV, wireless internet, books and magazines, a desk, and games. Guests may also relax on the porch and enjoy the lily pond. Guests may choose from a lighter continental breakfast or a home cooked breakfast served between 7:30 to 10 am. A range of museums can be found close by, along with golf courses, the Henry Doorly Zoo, and several restaurants. Rooms start at $89 (+1 402-614-7509). Lied Lodge in Nebraska City provides a rejuvenating getaway for families and couples. With a total of 140 fully renovated guest rooms, there is plenty of space for small groups or large parties to stay. The Spa at Lied Lodge offers a wide variety of massages and body treatments to provide the ultimate relaxation during your stay. Guests can also check out the exercise room, the sauna, the Jacuzzi, or the pool room which features an Olympic-sized indoor swimming pool and a separate pool for children. The Timber Dining Room offers breakfast, lunch, and dinner with salads, soups, sandwiches, shrimp cocktail, and many other delightful foods. For guests who want a more laid back atmosphere, The Library Lounge, offers a range of appetizers, cocktails, wine, and beers. Rooms start at $149 (+1 402-873-8733). 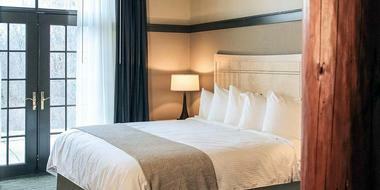 Hotel Deco Omaha offers a luxurious getaway in a modern Art Deco style environment. There are five different types of rooms to choose from, complete with 37-inch HD TVs, refreshments, an iPod Docking Station, complimentary Wi-Fi, and in-room massages. Guests are welcome to use the fitness center in the hotel. Other amenities include overnight shoe shines, valet laundry service, concierge service, iPad rentals, and Mercedes-Benz transportation. Although the hotel itself has no restaurants, it is located in the heart of downtown Omaha with a variety of restaurants located nearby. Some of these restaurants include Hiro 88 for sushi, Nicola’s Italian Wine & Faire for Italian cuisine, or Block 16 for Vegan meals. Rooms start at $195 (+1 402-991-4981). Burchell's White Hill Farmhouse Inn near Minden is a country-style bed and breakfast that lets you take a trip back to a quainter time with any of the four themed rooms. The rooms provide a comfortable and cozy feel with a private bath in each room. The Inn has an upstairs room that is also great for children to play in, as well as a breakfast porch, a dining room, an outside deck, and gardens. All rooms provide comfortable seating and plenty of books. A complete farm fresh breakfast is offered on the breakfast porch to guests in the morning. An on-site restaurant is also available on Fridays and Saturdays or for special events. Rooms start at $110 (+1 308-832-1323). Heartland Elk Guest Ranch in Valentine, the perfect getaway off the beaten path, offers a variety of cabins to suit your lodging needs. All of the cabins are fully furnished and include a kitchen as well as fireplaces, air-conditioners, and charcoal grills. Guests can participate in a range of activities during their stay, from hiking and fishing to horseback riding and mountain biking. There are many ways to enjoy the outdoors and the more adventurous types can even experience tubing, canoeing, and kayaking. 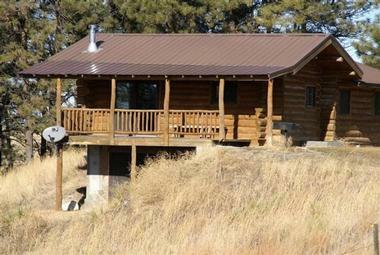 Providing the quiet and privacy of a cabin getaway, guests enjoy their stay away from the bustle of town. Visitors can travel into town to eat at Sparks, a café located 2.5 miles away and open during the summer, or Valentine, which is 20 miles away. It is recommended that guests pack food that they can make in their cabins. From $125 per night (+1 402-376-2553). The River Inn Resort in Brownville offers a tranquil and romantic atmosphere for couples to get away. The rooms offer either a park side or riverside view for their guests. All of the rooms are designed with luxury in mind and provide private baths, Wi-Fi, pillow top mattresses, HD TVs, refrigerators, and coffee makers. Exercise equipment is available in the resort, as well as a sunny deck common area where guests can relax or mingle. Binoculars, books, games, and magazines are available for guests who would rather enjoy the quiet. For eating, The Spirit of Brownville offers dinner cruises during the warmer seasons. Other eating options are available in the village nearby. Guests can also find hiking, biking, and museum tours nearby. Rates start at $120 per night (+1 830-238-4226). Hyatt Place Omaha/Downtown-Old Market features a contemporary design at a convenient downtown location. 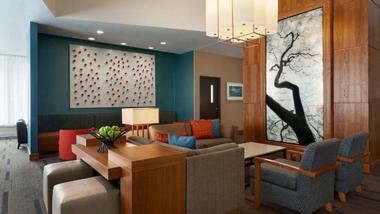 All of the spacious rooms feature the plush Hyatt Grand mattress as well as a sofa or sofa-sleeper. Rooms include private baths, a 42’ HD TV, free Wi-Fi, and complimentary amenities. There is a 24 hour fitness center open to guests that includes Life Fitness cardio equipment. There are complimentary hot breakfast items serves daily with fresh fruit. A Grab ‘n Go case provides sandwiches, greens, and bottled beverages for those who want a bite for the road. Guests can also enjoy beverages form the Coffee to Cocktails Bar or dine from the Gallery Menu. Just in town, there are several museums, two malls, several sports centers, and a zoo that guests can enjoy (+1 402-513-5500). 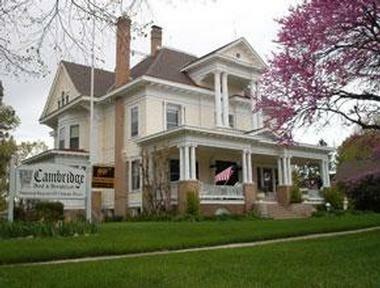 The Rogers House Bed and Breakfast Inn in Lincoln perfects a vintage atmosphere for families or couples to enjoy. There are two historic houses with a total of eleven guest rooms. Every room boasts top of the line mattresses and full private baths, and some also include Jacuzzi whirlpool tubs or guest work areas. Off street parking and wireless internet is available for both buildings, as well as central air conditioning. Guests can relax with a book or mingle in the common rooms. A full two course gourmet breakfast is served in the dining room on the main floor or privately in the guest rooms. The timing of breakfast can be arranged to accommodate early schedules as well as special dietary needs. Rooms start at $99 (+1 402-476-6961). The Magnolia Hotel Omaha welcomes both families and couples to enjoy the comfort of their rooms. 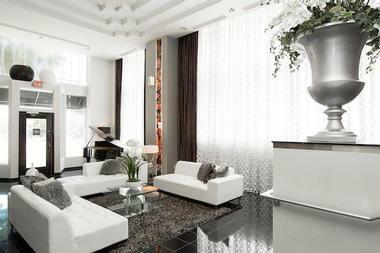 The modern and inviting decorating style of the rooms promise to make guests feel at home during their stay. Guests can relax in The Lounge, which features flat screen televisions and a full bar, or enjoy the fitness center. The fitness center is open 24 hours and has treadmills, a stationary bicycle, an elliptical, free weights and a weight machine. The Lounge also offers contemporary American food, serving breakfast, lunch, and dinner. Guests can choose to dine in the restaurant or in the comforts of their room. A range of restaurants and nightlife are offered nearby, along with shops and the historic Orpheum Theater. Rooms start at $99 (+1 402-341-2500). The Red Cloud Bed and Breakfast at the Kaley House in Red Cloud, Nebraska has three lovely bedroomswith ceiling fans and flat screen TVs. 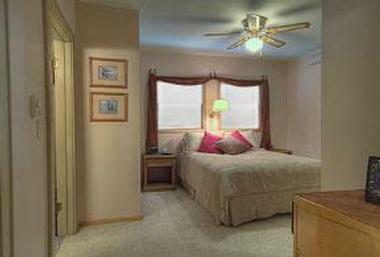 The rooms feature oriental rugs and comfortable bedding. There are three parlor rooms where guests can sit and enjoy a book, mingle, or simply just relax and watch television. Guests can enjoy a homemade continental breakfast along with coffee in the dining room with other dining options available in town. Also in town, guests can find points on interest, such as the Red Cloud Opera House and the Webster County Historical Museum. Rates start at $100 (402-746-3989). Middle Loup River Ranch Guest House in Thedford is the perfect weekend relaxation retreat, complete with two bedrooms, one with a queen bed and one with two twin beds. There is also a sleeper sofa in the living room for extra accommodations. A living room with a TV, DVD, and VHS player along with a library of movies and an assortment of puzzles, books, and board games are available to sit back and enjoy. Guests can relax in the screen in porch and enjoy the early morning or late evenings. The fully furnished kitchen carries all of the dinnerware and cooking utensils needed to make a meal. Guests can bring their own food or send a grocery list to have the kitchen stocked with food upon arrival. Fishing is available nearby, along with water sports such as canoeing and kayaking. Rates start at $99 (+1 308-645-2715). The Cambridge Bed and Breakfast in Cambridge features Neo-Classical architecture and original details from 1907. Each of the four guest rooms make their guests feel at home with their own themes ranging from quaint to floral. All rooms include a private bath, complimentary Wi-Fi, a television with a VCR, a desk area, and the finest linens. Parlor rooms, a sun room, and the front porch serve as common areas for guests to relax or mingle in. There is also a garden available for a quiet stroll or just to enjoy the greenery. A homemade breakfast is served on the main level in the dining room. Other eating options in town include the Town Talk Restaurant. A spa, golf courses, shopping, museums, and artist studios can all be found close to the bed and breakfast (308-697-3220). More places to visit: Best Things to Do in Omaha. 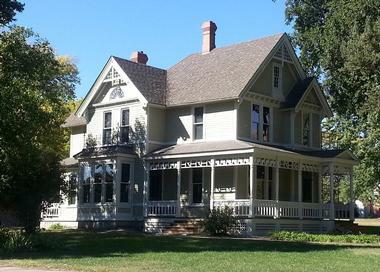 Whispering Pines Bed and Breakfast in Nebraska City provides guests with an old Victorian atmosphere with modern comforts. With five different rooms to rent, they all offer a different theme. The rooms are furnished with comfortable bedding and seating as well as private baths with bathrobes. 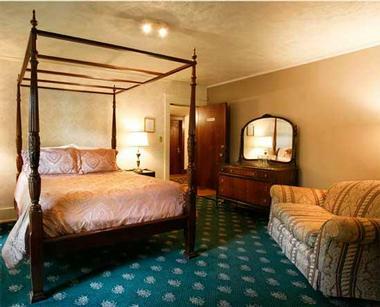 In the common areas of the bed and breakfast, guests may enjoy many comforts such as a parlor room and other cozy rooms perfect for relaxing with a book, a guest Den ideal for movies, and even an outdoor hot tub. Also outdoors on the lovely six and a half acres of property, guests can explore the flower gardens and a water garden with fountains. A homemade breakfast is served in the dining room with treats such as Granola, Orange Pecan French Toast, and Peach Enchiladas. Rooms start at $171 (+1 330-735-2824). For couples, families, or friend groups who want a private escape, Niobrara River Ranch Cabins near Valentine provides a scenic answer. There are seven different cabins available with two to five bedrooms. All of the cabins have air conditioning, wood stoves, a tub and shower, satellite TV, and a full kitchen that includes a dishwasher and a microwave. A wide variety of outdoor activities are available nearby, including canoeing, hiking, fishing, and sightseeing. Guests have kitchens to bring and cook their own food in during their stay. For those wanting to dine out, the nearest town is 15 miles away and provides places to eat, shop, and entertainment. 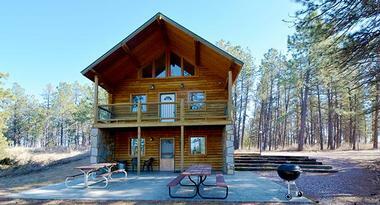 Camping rates start at $25 per night; cabins from $275 (402-890-1245).